Gloria Macapagal-Arroyo earned much criticism two years ago when she announced her decision to seek a congressional seat in the 2nd district of her home province Pampanga once her term as President ends. The speculation at that time was this: given the fact that her allies would almost certainly retain control of the House of Representative, she will most likely become the Speaker. Once in Congress, she and her minions would then push for charter change, with her as the Prime Minister. But alas, the numerical superiority of Lakas Kampi CMD dwindled when its members shifted allegiances (mostly to the now ruling Liberal Party) before and after the May 10, 2010 polls. Obviously, those aforementioned scenarios never materialized. And right now, she is facing an arrest warrant for electoral sabotage (in connection to the 2007 senatorial polls) – which means there is no way for her to travel overseas anymore. 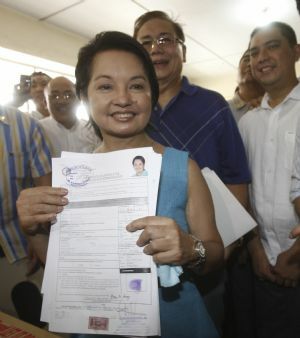 As Arroyo herself noted in a radio interview shortly before filing her candidacy in 2009, being a congresswoman will not give her immunity from charges against her. Therefore, I find it interesting why Arroyo still insisted on running for Congress instead of just letting her son Mikey seek a third and final term. With the likelihood of her spending this year’s Christmas season in detention looming in the horizon, that decision now appears to be a gross miscalculation on GMA’s part. 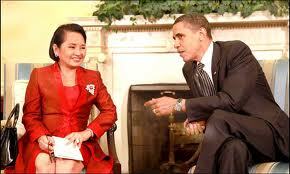 Arroyo should have not run for Congress. Instead, she must have left the Philippines shortly after Benigno Aquino III was sworn in as president. She can go to a country where we do not have an existing extradition treaty. Not a tough task, since the Philippines has forged an extradition treaty with just eight countries and two territories. Or better yet, she can flee to a country with no existing diplomatic relations with the Philippines (like Taiwan, for instance). Knowing that it took a year and a half before the Aquino government officially filed charges against her, she might now be regretting having chosen to run as a district representative instead of preemptively running away from charges against her. Once a globetrotting president, Gloria Arroyo nowadays can no longer travel abroad without the consent of Malacanang and Department of Justice. Once feted by US President Barack Obama, Spain’s King Juan Carlos, and Libya’s Muammar Gaddafi (now deceased), the former leader is now staring at a possible hospital arrest. What a fall from grace!